Qatar Airways sale starts today – save an extra 5%! The Qatar Airways sale starts today – see the sale home page here – and will run for a week. In recent years this has been the most aggressive sale we saw, with fares (out of Europe, not out of London) of £1000 or less to many places. Remember that Qatar Airways runs a fantastic business class service and you earn Avios and tier points when you fly with them as they are a BA partner. A return flight to Asia earns 560 BA tier points which is over 90% of a BA Silver card. I will do a full report tomorrow or Thursday as soon as I can get through the data. However …. if you want to book a sale flight departing from the UK, I have a special 5% discount code which can be stacked with the official sale fares. The code is UKGTBAFFILIATE and is good for bookings made by 16th January. You must book via this sale page of the Qatar Airways website – click here. Reward Flight Saver on Gatwick flights flown by Titan for British Airways? As we mentioned in our article on the new expanded British Airways Summer schedule from Gatwick, Titan Airways will be operating some short haul services on behalf of BA. Titan Airways has a decent reputation and has substituted for BA before during periods of strike action. This time they are helping British Airways fill the landing and take off slots it bought from Monarch until it can get hold of enough additional aircraft of its own. The Titan flights are shown very clearly on ba.com. They actually say ‘Titan Airways BAXXXX’ in the booking system, rather than ‘British Airways BAXXXX’. One quirk is that, if you book such a service using Avios online, there is no Reward Flight Saver offered. This is because they are not treated as British Airways flights. On most routes this isn’t much of an issue. Looking at Gatwick to Palma, the Titan flights require £36.11 of taxes and charges in Economy compared with £35 Reward Flight Saver on a BA service. If you fly in Business, you save money – the tax is £49.11 vs £50 Reward Flight Saver. I don’t know whether, if you ring the BA call centre, they can book them for you at the standard RFS rates. Long-term Head for Points readers will remember that I did a review of the Corinthia Hotel in London early 2015 after the hotel let me have a tour of its facilities and suites. It is a genuinely impressive piece of work. It is probably the most luxurious new hotel to open in London in the last 20 years and it is well worth popping in if you are passing, if only for a drink. Whilst the hotel is surprisingly big, the branding is very low key and it is easy to miss. It is on Northumberland Avenue – if you come out of Embankment tube station and turn left under the bridge, it is in front of you as emerge, opposite the theatre. The website is here if you want to learn more. If you are looking to treat someone to a special weekend in London, you can save 25% on the Best Available Rate in Corinthia’s sale which started last week (click here) and goes on until 28th February. The deals at their other five-star European hotels are even better, although these properties are not at the same level of opulence as London. For stays at the Corinthia hotels in Malta, Lisbon, Khartoum, Prague and St Petersburg, you will save 50% on the Best Available Rate for bookings made during the sale. The historic Budapest hotel is 30% off. Bookings have to be made by 28th February for stays until the end of this year. In an attempt to encourage you to book direct, the company also offers special deals (varied by hotel) including complimentary room upgrades, extended check-outs and discounts in their restaurants and bars. You can’t earn Avios when you stay with Corinthia. It is a member of Global Hotel Alliance (GHA), however, which has its own loyalty programme. GHA does not have any airline partnerships so you cannot earn miles from your stay. Subscribers to Business Traveller magazine get free Platinum level membership of the GHA Discovery programme as I outlined in this article. That said, my gut feeling is that Corinthia would prioritise direct bookers who are due extra benefits under their ‘direct booking bonuses’ scheme over GHA status members who book via the GHA website. 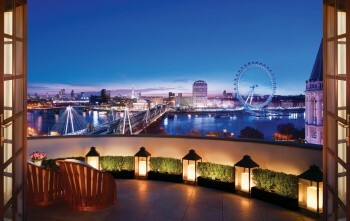 You can book the sale deals via the Corinthia website here. PS. Emyr Thomas, our hotel booking partner, just dropped me a note to say that for London he can get you the Corinthia sale rate WITH full Virtuoso benefits. This would include free breakfast and a credit to spend in the hotel. You can contact Emyr via the ‘Bookings’ tab in the top menu. OT. I ordered a Cat 1-5 Marriott travel package last year for 270k Marriott. I would like to redeem for a Cat 9 Hotel and so need to pay 120k to upgrade. Can I book now and pay the 120k later (ie. is book now pay later combinable with redeeming the certificate of an already purchased travel package)? Thanks. Hi Genghis, I started with a Cat 1-5 travel package a couple of months ago. I just booked the higher Cat 7 hotel I wanted and then when I had the extra points I needed, I phoned up and asked if they could upgrade my travel package to that level and apply it to the hotel booking. All done in a couple of minutes. Very easy and pleasant phone call. Thanks Julie and Waribai. I’ll do just that. Hi Asp, I’ve booked the Marriot in New Orleans for a week in October. Lots of other Marriott group hotels there of various categories but as i’m Marriott gold we’ll get breakfast and lounge entry at the actual ‘Marriott’ hotel there. Flying there on BA club (reward flights using a 2-for-1 voucher). Never been before and really looking forward to it! Hi Julie, sounds like a great trip! Hope you enjoy it. I’m starting to question whether the 1-5 packages are always better than keeping in points. You can miss out on the special award reduction offers and sometimes hotels can be cheaper paying with points or points and cash rather than the seven day certificate. Also fitting in a seven day break when one of the party is an employee may mean leaving the hotel earlier. Back of fag packet calculation, in hindsight for us it would have been quicker and more point profitable to keep an amex MR card with a 1:1 amex partner. Has anyone done the math on this? Thanks mark2, missed that and there are some strong points raised. It needs weeding out a bit more I think. Wonder how much you need to earn to feel comfortable spending that much on hols! 90k SPG for £90k spend is 120k Avios plus 5 hotel nights. In Amex Gold it would be 90,000 miles. On BAPP, 145k Avios but you are tied into Avios. Well it’s the 7 night one that doesn’t sit well. Your’e missing out on stuff like the stay 4 nights get one free and then there are the sales – Domes in Greece is now 20% off in their PointSavers sale in peak season (August) at 270,000 for 7 days. That’s 120,000 points less than the 390,000 you’d have to put towards the Hotel and Miles package. That’s a lot of points. surely no-one would spend £90,000 on one card? To be fair, I am trying to do £37,500 of tax / VAT / PAYE on my wife’s IHG card before Friday to lock in 2019 Spire! Unlikely to do it due to Creation’s 3-4 day lag in processing payments inwards. Someone emailed me yesterday who asked for advice, he had £120k of personal FX spend last year – just holidays ….. Presumably he wasn’t looking for advice on how to spend £120 on travel…Otherwise, I think that’s almost consultancy fee territory! Another bits question from me today – My ambassador renewal is up in March. I have prebooked 4 rewards nights in July, total outlay 180k points. If I choose the ambassador renewal option with 10% rebate, will I get the rebate of 18k points on the prebooked nights or do i need to cancel and rebook after ambassador renewal? If you have enough points book them again now and then rebook later. Reward nights usually go back into reward inventory but not always. The other option to ensure your nights are reserved and if you don’t have enough points yet for the Cat 9 travel package is to book a standard 7 nights room only on reward points as you don’t need to have the points in the bank now to do this. Then when you do eventually have enough points for the CAT 9 travel package, phone up Marriott and swap your standard rewards nights reservation over to a travel package one. It means you don’t have to fret over the hotel selling out. We did this over New Year at the RC Abama which was just as well as Tenerife does sell out. Sorry Ghengis, I just realised you asked the question about Marriott. I thought your IHG answer had been answering the Marriott question! AFAIK the method I mention is the only way to ensure you have the nights reserved as I’m fairly certain you can’t book travel packages until you have the points. Unfortunately, I have emailed some of the hotels and managed to get them to change some of the room types for me in advance from the basic points rooms. IC monterey to a 2 bed room, HIE grand canyon to a kids bunk room. I’m loathe to cancel these as they are already updated in app. OT: BA has changed the departure time of my flight. Tickets were booked via Avios and £35 tax. It’s shortened my connection time to a long haul flight (not on same ticket and not BA) and I want to play it safe by flying the day before. Will BA let me change for free online/via phone? Yes, they should even let you cancel too. I’d suggest before you call BA, take a long hard look at the alternative(s) you want and when you call, ask BA for your preferred alternative. (Have a backup handy.) Check out loading on the flight, aircraft type, etc. You get quite a bit of leeway in this type of case usually. Btw: are you sure it’s just a time change of the same flight that you’ve been given and they’re not actually trying to move you to another flight so as to make your seat on the original flight available for others to book? I’ve had that done to me! Very useful, thanks. It’s flight time change, flight number is the same. Can I book an alternative through manage my booking or do I need to call? In my experience they are pretty flexible so good to know what you want in advance. They will open up Award availability to enable a change after a schedule change – I wasn’t entirely expecting that but was very helpful. Try online but don’t be surprised if you need to call – they can see if you have tried to make the change online and will waive the offline fee, some agents will need a prompt to do this. Are there any conditions for the 5% discount? I cannot seem to get it to work. I’ve booked OSL – DOH – SIN return for £1150 each (2 passengers). I couldn’t get any of the 5% promo codes to work but it’s still a decent deal.